GlenAllachie is releasing a series of single cask whiskies, with different limited ranges available in various markets. Ranging from 10 to 29 years old, the single cask whiskies have been matured in a variety of different casks, including Sherry butts, Port pipes and virgin American oak. Eight will be released in the UK in October, at the same time as a further seven which will be available exclusively in Europe. Further collections will be released ‘in due course’ in Asia and the US. Each release will be bottled at natural cask strength without chill filtration or added colour. Billy Walker, who bought the Speyside distillery with his business partners Graham Stevenson and Trisha Savage in 2017, said GlenAllachie’s ‘rich, full-bodied spirit works well’ across different cask types and ages. ‘This is what I wanted to show with the batch of casks I’ve chosen for the UK and our export partners,’ he said. ‘I’ve been in this business for a long time and there’s no better feeling than sampling from single casks and discovering so many different flavours from so many different wood types. 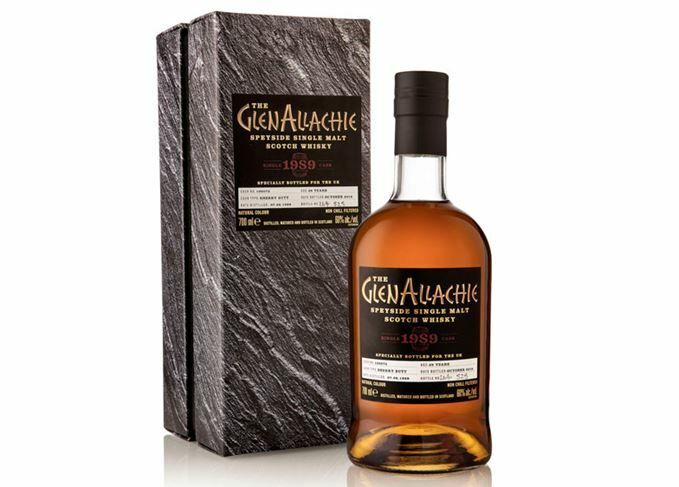 The single cask series follows the launch of an initial batch of six limited edition single cask bottlings released to mark 50 years since GlenAllachie’s opening in 1968. Since then the distillery has also released its flagship single malt range and relaunched the historic MacNair’s blended malt brand. A release of six single cask single malts from the Speyside distillery, from 1978 to 1991. The Speyside distillery is releasing six single casks ahead of its core range launch. The Speyside distillery’s new owner plans to release ‘affordable, premium quality’ malts.